The Washington Metropolitan Area Transit Authority’s board of directors approved an initiative Thursday that will reimburse riders who experience delays of 15 minutes or more during peak travel times. Riders stuck waiting at Metro stations will now be able to get their money back. In an effort to stave off diminishing ridership, the Washington Metropolitan Area Transit Authority’s board of directors approved an initiative Thursday that will reimburse riders who experience delays of 15 minutes or more during peak travel times. Metro officials said the program shows the agency’s desire to improve service reliability and ambition to encourage more riders to use the system. Initially introduced to WMATA’s board of directors by Metro General Manager and Chief Executive Officer Paul Wiedefeld Jan. 11, the “Rush Hour Promise” program will provide full refunds to rail and bus riders experiencing prolonged delays during rush-hour commutes this year. The program began offering refunds Friday. “It is our hope that this program provides a level of assurance to old riders and entices new riders to give Metro a try,” Wiedefeld said at a board meeting Thursday. The initiative will not apply to delays caused by planned track repairs, weather or simple highway congestion, but the reimbursements will cover safety and medical emergencies, police activity, unplanned maintenance, mechanical delays and major traffic delays. WMATA will issue credits to eligible riders’ SmarTrip cards within five businesses of experiencing the delay, according to a WMATA release. Wiedefeld attempted to bolster public confidence in the program at Thursday’s meeting, promising riders that Metro is safe, secure and reliable. MetroBus riders must manually apply for the refunds through WMATA’s website because they are required to tap their SmarTrip cards only upon boarding. 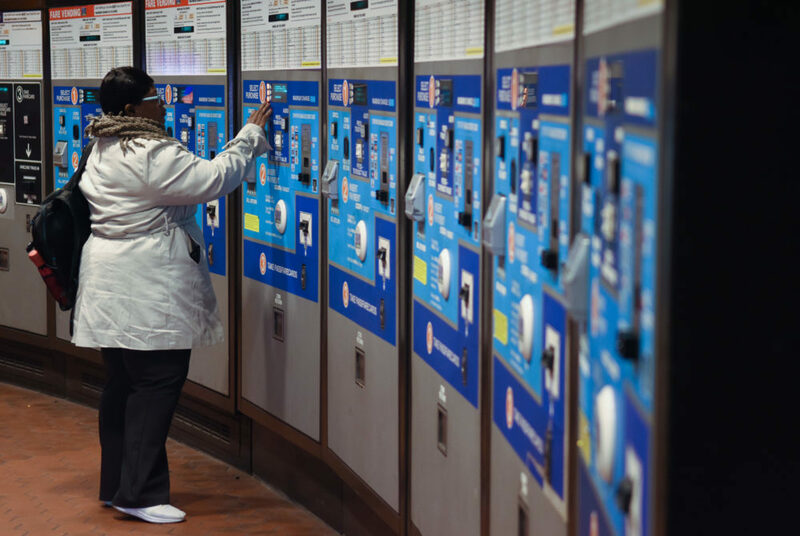 Riders will receive an email when funds are transferred to their SmarTrip cards after experiencing a delay of 15 minutes or more. When riders tap in and out of the Metro, the system identifies the length of the trip and whether or not there were delays, Metro officials said. Lynn Bowersox, WMATA’s assistant general manager for customer service, said at a January board meeting that the company will cross-check submitted claims to determine if the alleged delays are consistent with any disruptions in the bus schedule. Today, nine out of 10 weekday Metrorail trips arrive on time as a result of Metro’s extensive SafeTrack maintenance program, completed last year, and more organized rail scheduling, according to officials. Despite these improvements, Metro reported in January that 30 percent of riders admitted to using the Metro less often than they have in the past, citing reliability concerns. Metro ridership has plummeted in recent years following multiple safety incidents and persistent concerns about reliability. Average weekday rail ridership is down 22 percent from 2009 and bus ridership has declined 8 percent year-over-year, The Washington Post reported last month. Metro officials estimate the program will cost the agency between $2 million and $3.5 million in 2018, but anticipate that increased ridership could offset that cost. Some students who frequently use public transportation said WMATA’s decision to approve the program was a step in the right direction to improve ridership. “It’s a really great program that will provide a check for the Metro system and make sure that they’re meeting the time requirements they need to be meeting,” Jeffrey Peterson, a sophomore studying political communication, said. Peterson, who relies on public transportation at least three times a week for his internship on Capitol Hill, said he prefers using the Metro during his rush-hour-commute rather than ride-hailing services, like Uber or Lyft, even when the system experiences delays. Tristan Justice, a junior who relies on the Metro to get to and from his internship at the Young America’s Foundation Headquarters in Reston, Va., said the refund program is not a sufficient replacement for Metro’s consistent performance and reliability issues.